This weekend, Jamioulx and Hasselt prisons were the first to add telephones inside their cells. The inmates have the option to call from these phones at a rate of €0.11 a minute. All Belgian prisons are expected to be equipped with phones by this summer. Every prisoner receives a personal code which is linked to their account. The prison is able to control their calls as well. This could be limiting how long they can spend on the phone, what times they can call or blocking certain numbers from calling or being called. However, listening to or recording conversations held by inmates is not allowed unless an investigating judge grants permission to a police force during an investigation. Having phones inside the cells should allow inmates more freedom for calling and a greater chance of reintegration into society, justice minister Koen Geens said. It is also safer for the prison staff, who no longer have to accompany inmates to a shared phone. 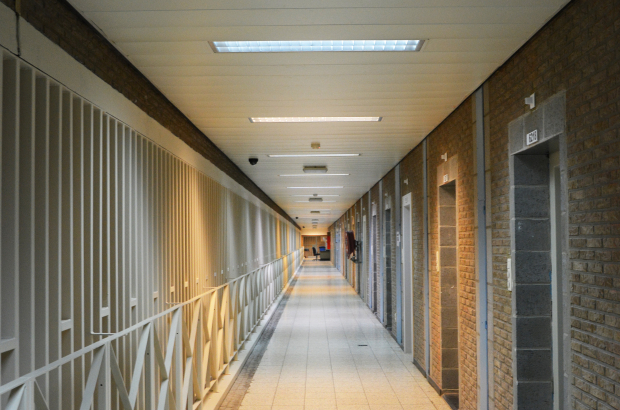 Although there is acknowledgement that prisoners may be able to conspire about illegal activities over the phone, this was already possible before with visiting hours and other correspondence, says Paul Dauwe, director of Hasselt Prison.